DALLAS, January 24, 2019 – MarketScout, the national electronic insurance exchange and specialty MGA headquartered in Dallas, Texas, announced today the launch of its new exclusive MGA facility, WildCat. 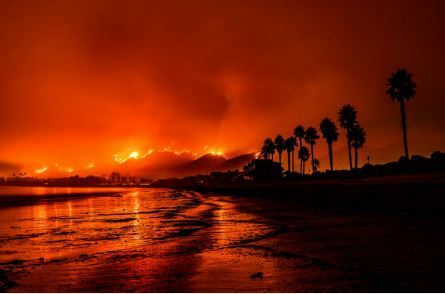 California’s catastrophic wildfire outbreaks have reshaped insurance for the region. Insured losses in 2018 have been calculated in the billions. With the coverage crisis for homeowners in California, MarketScout developed WildCat to provide additional coverage capacity in the area. Analysts have noted the California personal lines market is trending toward a hard market, with rates for brush exposed properties trending towards increases from 10% to 50%. WildCat is stepping forward as the solution while many other markets and brokers are pulling out. MarketScout’s exclusive property MGA provides solutions for tough accounts in the hardening market. Insureds with homes in wildfire and brush areas are having a hard time swallowing renewal rate increases. WildCat offers a viable alternative at competitive pricing. DIC and Wrap coverage options are also available. WildCat is available throughout all the Western states. MarketScout is an insurance distribution and underwriting company headquartered in Dallas, Texas. The firm is a Lloyd’s Coverholder and MGA for U.S. insurers. MarketScout owns and operates the MarketScout Exchange as well as over 40 other online and traditional underwriting and distribution venues. MarketScout is founder of the Council for Insuring Private Clients (CIPC) and administers the Certified Personal Risk Manager (CPRM) designation in partnership with The National Alliance for Insurance Education and Research. The firm founded the Entrepreneurial Insurance Alliance (EIA) in 2007 and presents the Entrepreneurial Insurance Symposium (EIS) every September. In 2017, MarketScout founded MarketScout InsurTech (MIT) venture fund. In January 2018, MarketScout launched its Incubator to accelerate start-up MGAs and assume operational functions for existing MGAs and insurers. MarketScout has offices in Arizona, Arkansas, California, Florida, Georgia, Illinois, Iowa, Nebraska, Pennsylvania, South Carolina, Tennessee, Texas, and Washington, DC. For more information, please visit us at MarketScout.com. California license #0D60423.